Welcome to the official Mojo Webb site! 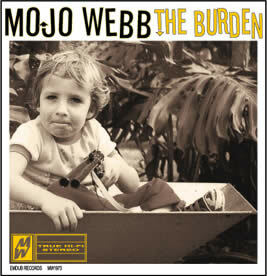 Finally - a new Mojo Webb album! The Mojo Webb Band's new album THE CAT has been launched! The album features Mojo Webb, Coojee Timms and JB Lewis. All-analogue, all original, THE CAT is out now! Here's some footage of the band performing the title track at the album's launch at The Press Club in Brisbane. The Mojo Webb Band went off in Memphis, USA! The Mojo Webb Band won the BASEQ Memphis Blues Challenge and were sent off to Memphis at the end of January to compete in the 2012 International Blues Challenge. The boys reached the semi-final stage, wowed the crowds and had tongues wagging!